Of the 1,500 languages spoken in India, there is not a single word for anti-Semitism. That’s one of Nissim Pingle’s favorite facts about Jewish life in India—a legacy that’s millennia old. Since he was a teenager, Nissim has been a stand-out leader, dedicated to building Jewish community among the country’s 4,500 Jews. So it made perfect sense when, a few years ago, he transitioned from volunteer to Jewish communal professional. 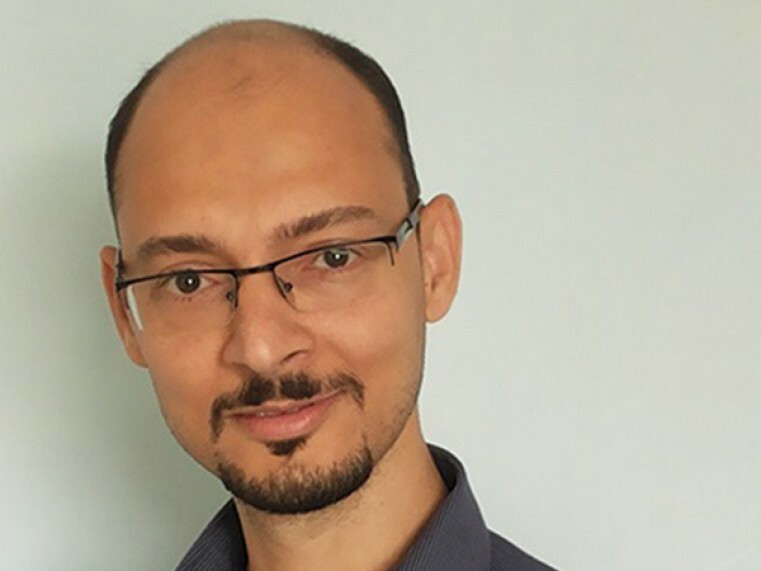 He’s now the senior manager of the Evelyn Peters Jewish Community Center in Mumbai, a community hub sponsored by Federation partner agency, the American Jewish Joint Distribution Committee (JDC). Here’s his story. I spent my childhood listening to my father, a chazzan, sing beautiful prayers—melodies that have echoed in Jewish homes and synagogues throughout India for well over 2,000 years. True, most Indian Jews immigrated to Israel after its independence. But the 4,500 Jews who live here are the heart of a thriving community. We support an incredible 20 synagogues across the country! But let’s go beyond buildings—there’s so much more we’re proud of. I got my start in Mumbai’s Jewish Youth Pioneers program—in fact, it’s where I met my wife, Lovina. We also both spent our summers at JDC’s Szarvas camp in Hungary with other young Jews from all over the world. Those experiences helped me realize that I wanted to dedicate my life to Jewish learning and community building. In Mumbai, our community is 800 families strong. We welcome in Shabbat together, gather for weekly minyans, celebrate Rosh Chodesh and holidays and send our children—including my two little ones, Ilan and Aviv—to Gan Katan every Sunday. Not to mention, we have meals on wheels and other social services at the Bayiti Home for the Aged, day care for toddlers and thriving young leadership and family programs at the Evelyn Peters JCC. We even print a quarterly magazine, Kol India, sent out nationwide. And in my spare time, I volunteer with a synagogue security group. Last year, I helped launch a Limmud India event, bringing together more than 150 Jews from across the country for a day of Jewish learning. It was my dream come true. But much of what makes our community so vibrant and rich wouldn’t be possible without JDC and Federation. Their support of all sorts of Jewish life around the world—no matter how large or small, and no matter where it is found—ensures that the community I love and the values that guide it will be here for my children—and one day, their children. Who knows—there may be more chazzans in my family to make the melodies of our ancestors continue to come alive.